Your Cause, Your Way” helps players create their own named charitable funds, supported and administered by experts at their local community foundation. 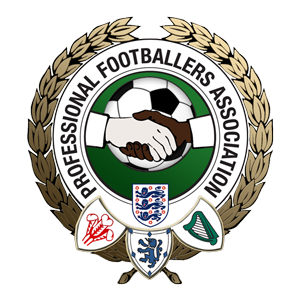 The Professional Footballers Association (PFA) has joined forces with charity network UK Community Foundations (UKCF) to launch a pilot scheme to help players seeking to donate to local causes. Until now, players wanting to give back to the communities that have supported them have either written a cheque for a charity or set up their own registered foundation with its own executive board and associated administrative complexities. Now the “Your Cause, Your Way” scheme gives players a new option for charitable giving, allowing them to set up a named charity fund which is then managed by UKCF and the players local community foundation – so players can give to whichever charities, community groups or individuals they want, without the complex administrative processes. UKCF is the membership organisation for the 48 community foundations spread across the UK that work as local philanthropy centres by creating and managing funds on behalf of donors and then distributing money to their chosen causes. The Your Cause, Your Way pilot is being launched on the back of a successful partnership between former England and Liverpool FC player Jamie Carragher and his local community foundation. In 2009, Jamie teamed up with Community Foundation for Merseyside to launch his charity, the 23 Foundation, which has since donated £310,000 to sports initiatives across Merseyside, helping provide coaches and facilities to community centres, as well as establishing football academies for local schoolchildren and funding the regions budding young sports stars. Watching the 23 Foundation transform the sporting opportunities for people on Merseyside, UKCF approached the PFA to see if more players would be interested in Jamies charity model. “The PFA has been involved with some excellent examples of players setting up their own foundations, helping set up charities such as the James Milner Foundation, the Jermaine Defoe Foundation, and the Jason Roberts Foundation. “The new partnership provides an additional option moving forward, giving members the chance to utilise the legal framework and charitable umbrella of a national organisation in UKCF. Members interested in finding out more about the partnership, or indeed any other method of charitable giving, can speak to the PFA Community Department who will pleased to offer guidance"
David Sheepshanks, chairman of UKCF, said: "Given my passion for local communities and my personal love of football, I am really excited about the potential of Your Cause, Your Way to help players give back and really make a difference to the communities they love. “Community foundations have a remarkable ability to connect those that want to give, with the local causes that matter most to them - these are typically under-funded, under the radar and yet critically important , often acting as the social glue to keep communities together.